With over ten years of culinary experience under his belt, Hawksworth Restaurant Group’s Culinary Director Kristian Eligh has continued to excel since finishing as the top apprentice of his graduating year. To date, his impressive resume includes tenures as opening Chef de Cuisine at Market by Jean-Georges, at the Shangri-La Hotel and also as Chef de Cuisine at Diva at the Metropolitan Hotel in Vancouver. 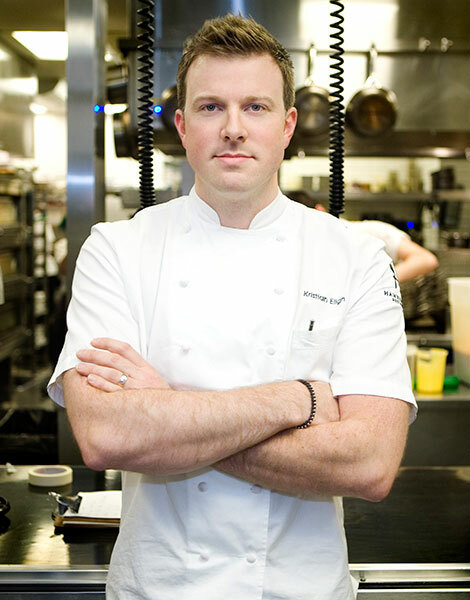 In further pursuit of his passion, he has also completed stages in an impressive collection of leading North American restaurants: Blackbird Restaurant and L₂O in Chicago; Spice Market, Perry St and Jean Georges in New York; and McCrady’s in Charleston, South Carolina; all of which continue to influence his cooking style today.